This is a masterpiece of unequaled storytelling; the tale of Wheeler Burden, exiled heir of a famous New England family. He's a philosopher, student of history, rock idol, writer, lover of women, recluse, and baseball hero. In 1988 he is forty-seven, living in San Francisco. Suddenly he is, still his modern self, looking like the rocker he is, with a cultivated Wild Bill Hitchcock persona, meandering in a city and time he knows mysteriously well: fin de siècle Vienna. It is 1897, precisely ninety-one years before his last memory and a half-century before his birth. While in Vienna, he mets his father, grandfather, grandmother, Freud and Jung. 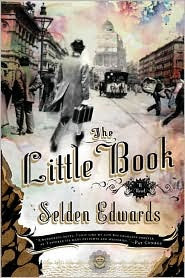 Edwards has great fun with time travel paradoxes and anachronisms, but the real romance in this book is with the period, topped by nostalgia for the old-school American elite, as represented by the we-all-went-to-the-same-prep-school Burdens. This novel ends up a sweet, wistful elegy to the promise and hopes of the 20th century. Edwards began writing this, his first novel, as a young English teacher in 1974, and continued to layer and refine the manuscript until its completion in 2007. Hallo Jan, I had not heard about this book, but thanks for introducing it to me! My husband and I are planning to show in one of our next walks the fin de siecle Vienna, Jugendstil, which would just match with your book!